Yorkshire developers Sterling Capitol and the Homes and Communities Agency (HCA), advised by Indigo Planning, have been given unanimous approval for a large-scale employment and distribution hub in Goole by the East Riding of Yorkshire planning committee. The planning consent could create up to 3,000 new jobs. Goole36 – a total of 39 ha (96.4 acres) across a larger area of the overall site, promoted by the HCA for direct development. 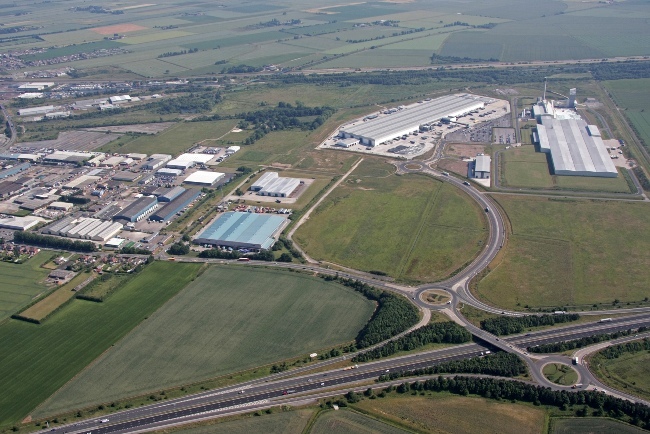 Capitol Park – 13 ha (32 acres) controlled by Sterling Capitol and offering design and build development opportunities, close to the existing Tesco Regional Distribution Centre, Drax biomass facility and the Guardian Glass factory. Together, Goole36 and Capitol Park will include a mix of employment uses (B1, B2 and B8), leisure facilities (A3, A4 and A5) and car showrooms – a total of 199,698 sq m (approx. 2.14 million sq ft) – plus a 100 bed hotel. The site has direct access to junction 36 of the M62 and the Port of Goole, and sits within the Humber Enterprise Zone with potential for a dedicated rail link. The decision follows an initial outline application and full environmental impact assessment for the site in 2008, which was deferred. Since then, the HCA has replaced the previous development partner, Yorkshire Forward, funding the completion of Phase 2 of the spine road, running from junction 36 of the M62, through the site, to the Port of Goole. Mike Heydecke, on behalf of Sterling Capitol, said: “This is a significant development for us, underlining our commitment to Capitol Park Goole. These exciting plans will create much-needed business space and jobs in the Goole area. Nick Fillingham, Associate Director at Indigo Planning, said: “Goole36 and Capitol Park now represent a major opportunity in the East Riding area, offering significant potential for employment and distribution development on a strategic site close to the M62 and the ports at Goole, Grimsby, Immingham and Hull. Other members of the consultation team include Ecology Solutions, WYG (transport) and Aecom (flood risk assessment).